Did you have a chance to see Jurassic World: Fallen Kingdom in theaters? You know WE DID! We went opening DAY with 5 popcorns in HAND and now we are counting down the seconds until the movie releases on Blu-Ray so we can take it home. Well, we don’t have to wait much longer because the newest installment of the action-packed Jurassic franchise – Jurassic World: Fallen Kingdom – arrives on Digital and via the digital movie app MOVIES ANYWHERE on September 4, and Blu-ray & DVD September 18. That is right around the corner, people! Honestly, I think we are going to invite a few friends over and have a full on viewing party because… it’s LIKE THAT. If you don’t know by now that I am madly in love with Chris Pratt then you don’t know me as a person. Ok? Anyway, there are a few things you need to do in order to get ready for your personal viewing party at home. Don’t worry, I’m “Type A” and a list maker… so I’ve got you covered. Number three: Check out this amazing trailer to pump you up while you wait for the official release date to COME. September, where are you??? 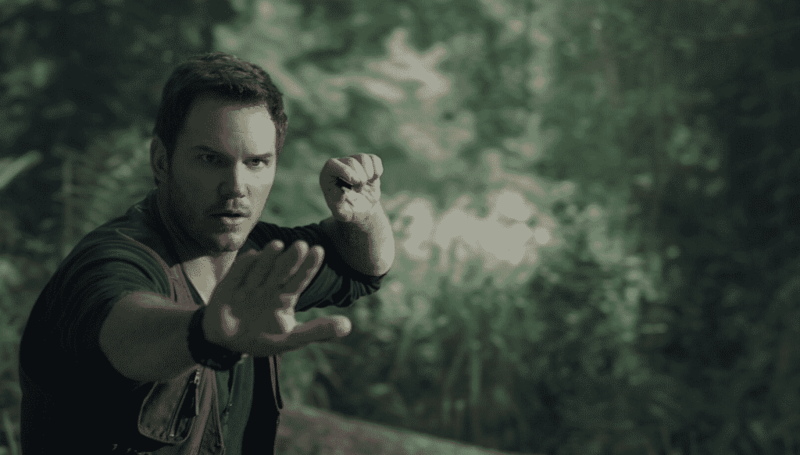 Number four: Relish in the fact that this Blu-ray has more than an hour of bonus content – including Chris Pratt’s behind-the-scenes “Jurassic Journals” captured on-set. HOLLLLLAAAA. I am in just for that. 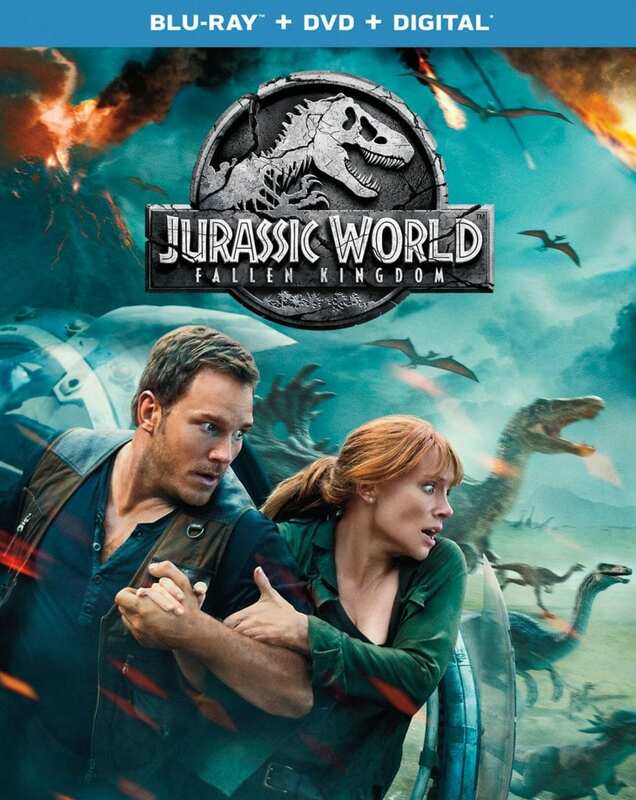 Building on the wonder and adventure that has mesmerized audiences worldwide, Jurassic World: Fallen Kingdom continues one of the most thrilling series in movie history with an adventure 65 million years in the making, captivating audiences of all ages with a stunning new chapter filled and more dinosaurs than any other Jurassic film! We really did have such an amazing time watching this movie. The kids LOVED it so much that it gave us a reason to start looking up dinosaur facts when we got home. I live in NY and it even prompted a visit to the Museum of Natural History!! If a movie can get kids excited to learn… then I call that a WIN. 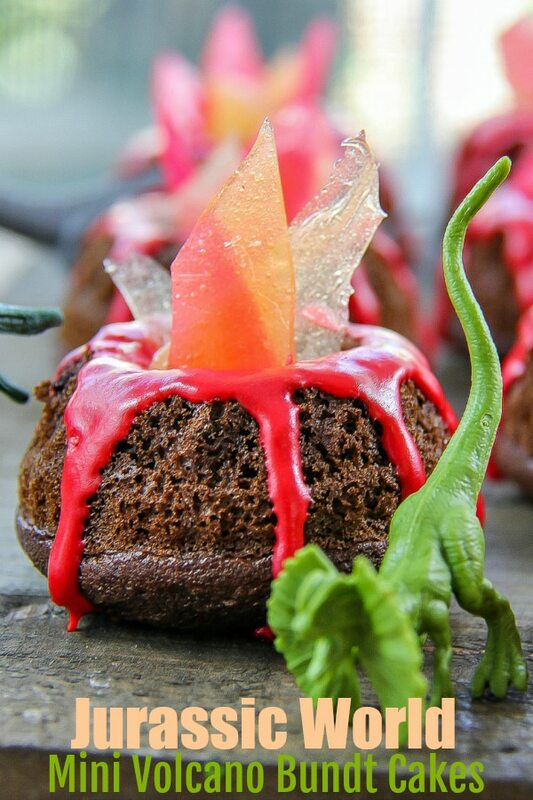 If you are looking for something a little different than the traditional popcorn for a movie marathon, then you will love these mini volcano bundt cakes. 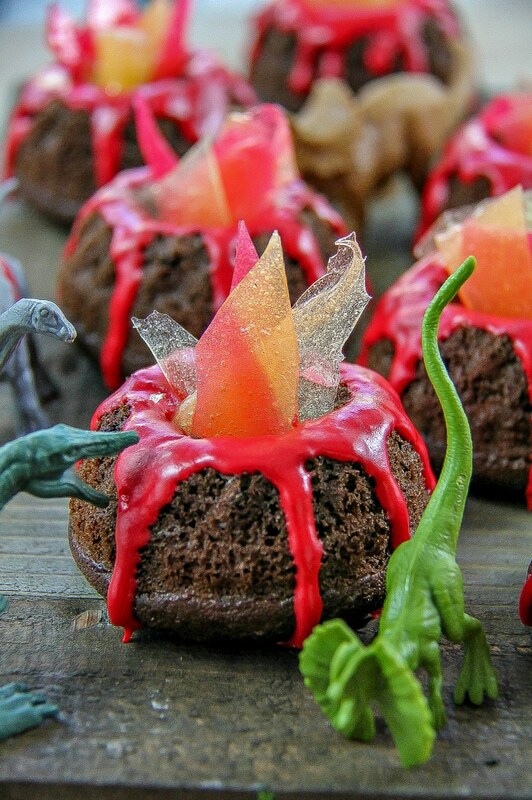 You don’t need anything fancy to make these, they can even be made with (gasp) store-bought cake mix and icing. In fact, this is a great ‘kids in the kitchen’ project. There will need to be adult supervision though, especially for the oven, and also for melting and pouring the candy. 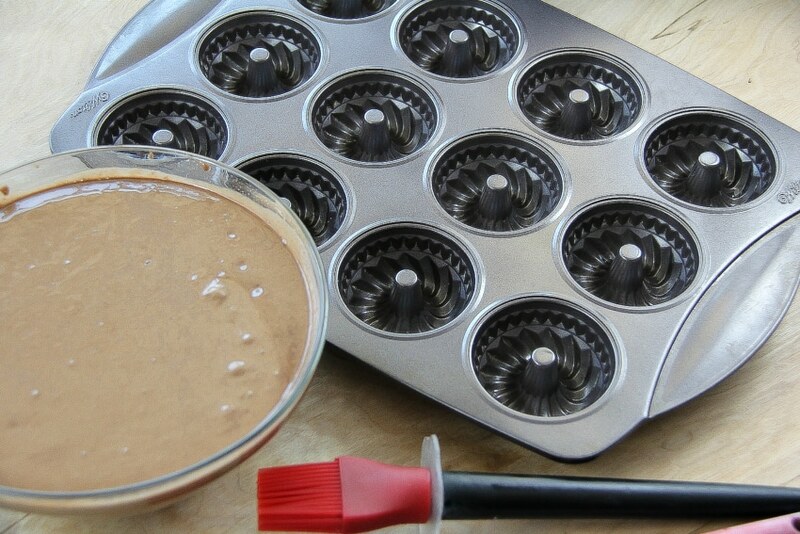 Your favorite chocolate cake mix – if using a boxed cake mix, check for the ingredients needed. Preheat oven to 375 degrees F (check your packet mix or recipe for oven temperature required). Spray a mini bundt pan with cooking spray and set aside. Prepare your chocolate cake mix according to the package (or recipe) directions, and pour into the mini bundt pan spaces only filling each to about 3/4 full so that when they rise they don’t spill over. Bake for approximately 14 minutes, but again, check your recipe or package mix instructions. Mine said 14-19 minutes but they only took 14 minutes. Once baked, remove from the oven and set aside to cool before carefully removing each cake from the cake pan. Did you know that you can put tubs of icing into the microwave for 30 seconds so they aren’t so stiff? 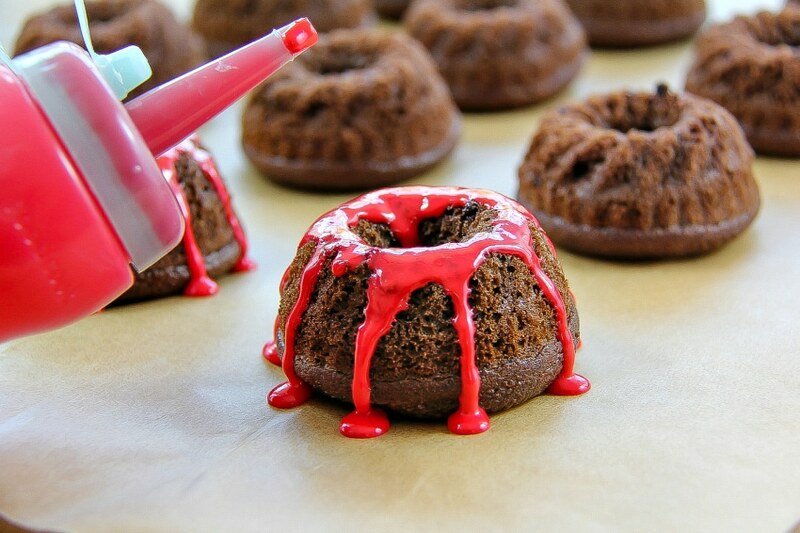 Well you can and this is perfect for making lava flowing over the side of the mini chocolate bundt cakes. Simply transfer your icing once heated a little into a plastic squeeze bottle, and then squeeze gently around the top of each bundt cake in a circle allowing it to overflow down the sides a little. Tip: Place your bundt cakes onto parchment paper before adding the icing for quick and easy clean-up of the excess icing. 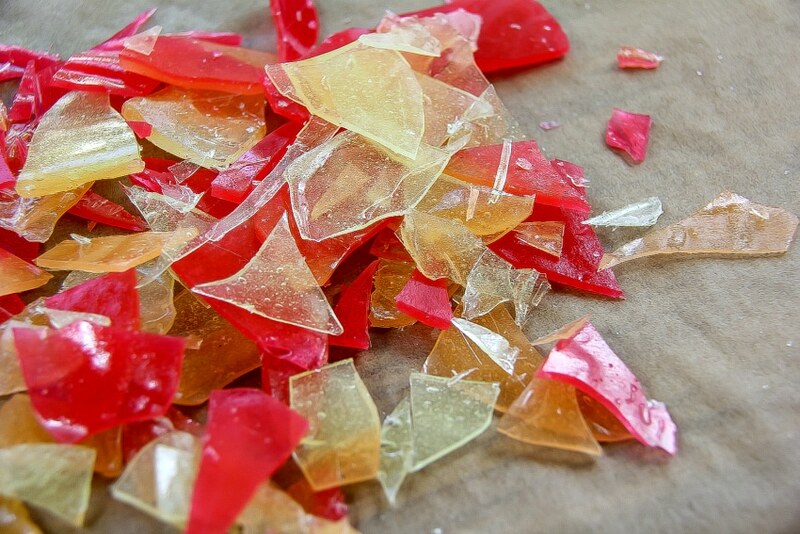 In separate saucepans over low heat, melt your hard candies. It will take time, but you don’t want to burn the candy by putting the heat up high. 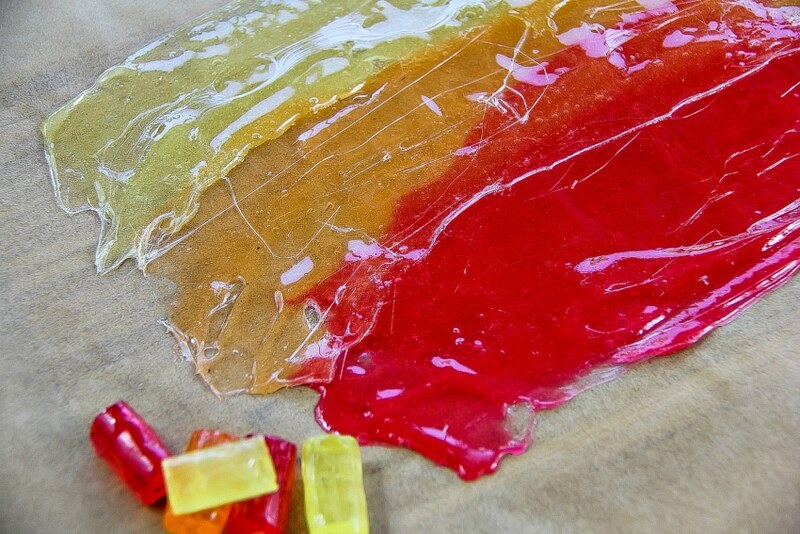 Once the candy is melted, quickly pour it onto parchment paper and pop it into the freezer for about 10 minutes. 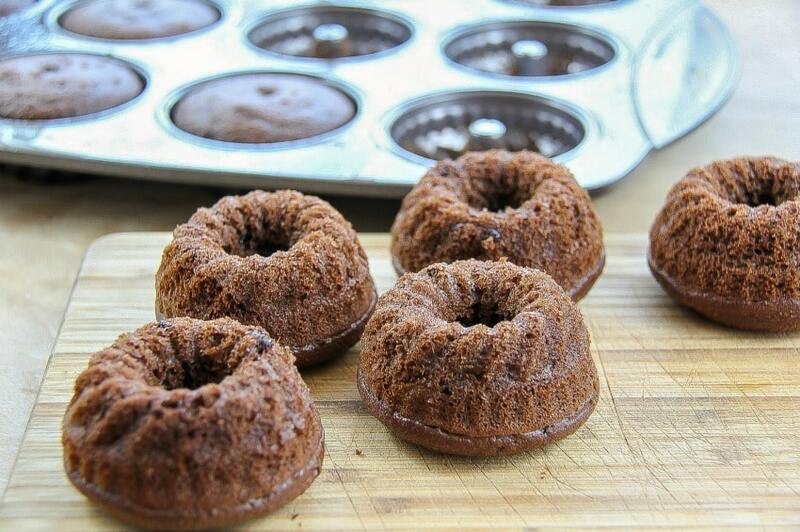 Break your candy into small pieces and place into the top of the bundt cakes. 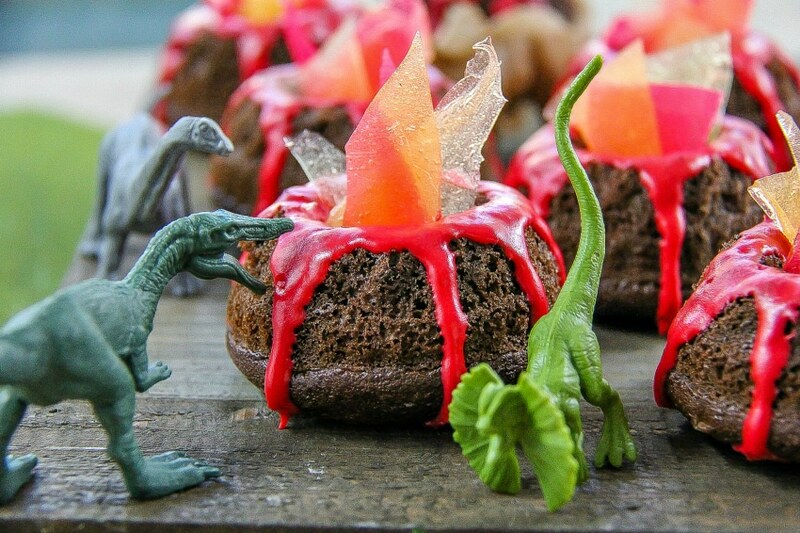 These fun treats will be perfect for a Jurassic World: Fallen Kingdom movie night with family and friends.